Usually, Chip Gaines is warm, jovial and always ready to spread the love wherever he goes. But when word got back to him about an article implying that he and his wife, Joanna Gaines, might be so focused on their careers they’re putting their children to the wayside, he got so heated on Twitter it forced the author of the article to issue a formal apology. 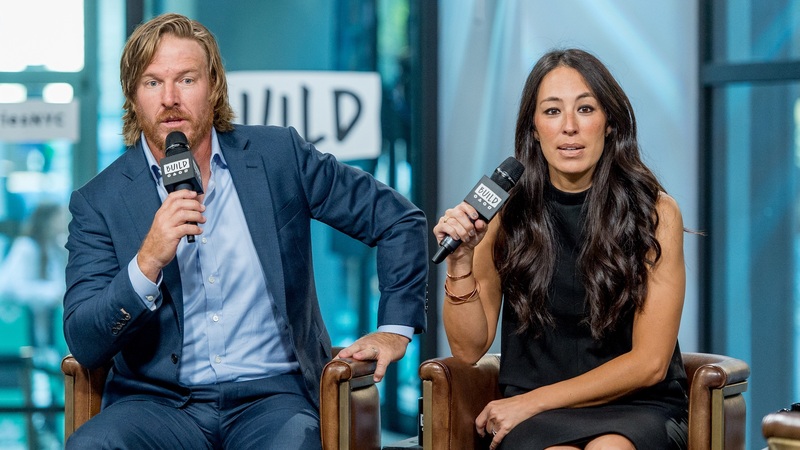 The turmoil began when an article titled “For Chip and Joanna Gaines, family first is a talking point. But is it reality?” appeared on USA Today‘s website. Written by Daryl Austin, the article argues that the Gaineses frequently speak of the way they put family first at all times even though they’re major public figures. Austin claims he doesn’t believe that with all of the things the Gaineses have to do on any given day — from their television duties to running a magazine, online store, restaurant and so forth — the celebrity couple has enough time to devote to their children. No matter which way you slice it, that’s a strong indictment on the Gainses’ parenting skills, especially when it’s coming from someone who is on the outside looking in — with no apparent firsthand evidence to support his claims to boot. USA Today later proceeded to tweet the link out to their followers, posing the question, “Do you think Chip and Joanna’s life is just for show?” to their followers. Gaines rarely gets this stern, but it’s hard to see how he’s in the wrong here. With an article alleging — and based purely on an opinion — that he may not be an up-to-snuff parent, one who is choosing his businesses over his kids, it’s easy to empathize with his reaction. Also, not that he really needed to justify it to his followers, but it is heartening to know Gaines has gone on record to say he would shut all his work down if it meant keeping his family intact; that’s truly what putting your family first looks like. With Gaines’ Twitter clapback blowing up the Twittersphere and getting lots of support from his fans, Austin seemed to have a change of heart about his critical article. He recently wrote another column for Fox News, which acts partially as an apology and partially as a justification (cue our skepticism). Gaines has yet to respond to Austin’s apology, although it seems like Austin’s deeply regretful for ever criticizing the beloved HGTV couple. This reaction from Gaines seems to have been so out of character and so vehement that it’s really a warning to Austin and anyone else: Don’t criticize when you don’t really know what’s going on.